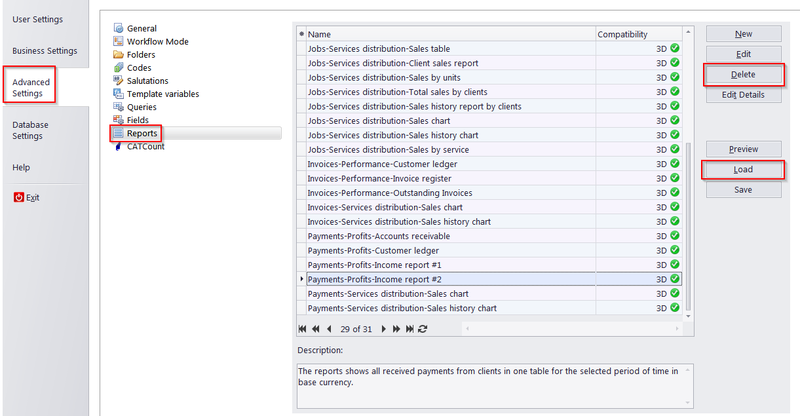 How to integrate an updated Custom Report into TO3000? To integrate an updated Custom Report into TO3000, please follow the instructions below. 1) In the Backstage View, go to the Advanced Settings > Reports page and delete the old report with the same name. 3) Copy the updated report file to the same folder. 4) Load it from Advanced Settings > Reports > Load. Note: Only users of the Advanced edition can update reports this way.